much lower than 0.7V at low current. 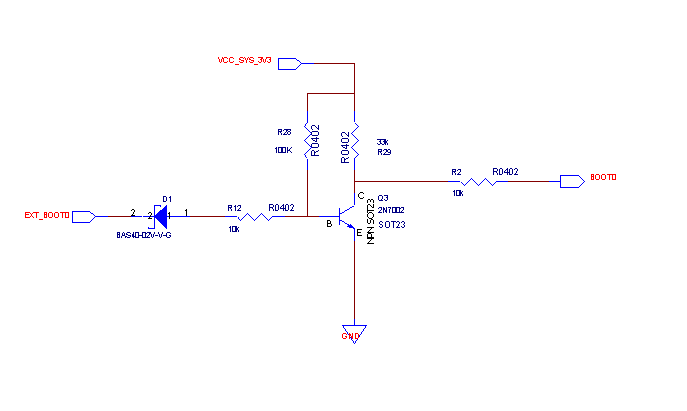 > hi folks could someone please help analyse this circuit to see if it is correct? > of the STM32F is required. > could be even 1.8v. > connected to GND and thus BOOT0 operates in "normal" mode. > to switch off the transistor. > ... so.... help! what do i do?